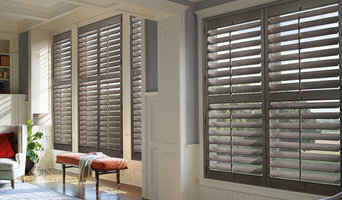 Beds & Blinds offers a large variety of high quality plantation shutters, shades, custom draperies, and blinds. Family owned and operated since 1996, Beds & Blinds will provide a personable and professional experience in choosing, ordering, and installing your new window treatments. The Drapery Makery has specialized in custom draperies, top treatments, and other soft window fashions for almost 30 years. Mona Pace and her workroom team are available to help you with all your window treatment needs. We have an extensive fabric and trim library, and are happy to serve our customers with an on-site consultation to design and plan their window treatment or bedding project. Our full line of hard products include Hunter Douglas, MechoShade, Horizons, featuring interior shutters, woven wood shades, honeycomb shades, much and more including motorized shade products. Extensive selections of distinctive drapery hardware include Kirsch, Paris Texas, The Finial Company and others. We also offer custom made iron rods with an almost infinite finial and finish choice. Many drapery rod styles are also available with motorization. Our workroom services are available to interior designers as well as residential and commercial clients for custom draperies, roman and soft shades, bed coverings, cornice boards, and all styles of top treatments including speciality window solutions. We also fabricate upholstered headboards, pillows, cushions and much more. Made to measure blinds, shutters, natural and solar shades give our customers the ultimate control of light and shading, as well as offering energy efficiency and cost savings. Our staff at The Drapery Makery will be happy to assist you in the design and implementation of your window treatment and decorating ideas. From our sales staff, experienced seamstresses, to our professional installers, we have the capability to transform your room into a warm and inviting space that you will enjoy for years to come. Largest window covering franchise in the nation. Best service, products and warranties. Trust the Beachside Blinds and Drapes team to provide you with top quality window treatments such as window treatment, blinds, shutters, and drapes and more at discounted prices! We have a wide selection of treatments and designs that will bring out your condo or homes beauty while providing durable long lasting protection. We also offer an complete line of Bahama Shutters along with many choices in Hurricane Protection which includes Colonial Shutters, Accordian Shutters, Rolling Style Shutters, and Storm Panels. We offer storm protection to meet any style and budget. With over ten years experience in offering and installing window treatments, we have perfected the art of providing the right treatment for each client's specific needs. Contact us now in Gulf Shores, Foley, and Orange Beach AL for professional service, quality products, discounted prices and fast turn around. 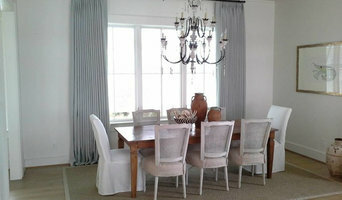 All About The Windows is a full service window treatment company based in the Mobile Bay Area. Since 1991 we have provided quality shades, shutters, and blinds for both home and business owners across Fairhope and the surrounding Southern Alabama area. Our services include custom window treatment design and ordering, consulting, product delivery and complete installation. With All About The Windows one company does it all. You get comprehensive service from start to finish. We carry a wide selection of shutters, blinds, shades, window film, draperies, and commercial window treatments. Why go anywhere else, when you can experience the best in the industry? Visit us today and let us help you beautify your Fairhope home or business. 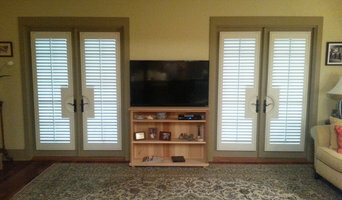 Builder Blinds of NW Florida has been the Pensacola shutter company local home and business owners trust since 1999. Offering a variety of window coverings such as shutters, outdoor shades, and window blinds in the Pensacola area, you can rely on our experts for quality products and services for shutters, blinds, shades and even outdoor shade systems. You can even call on them for window covering repair needs.